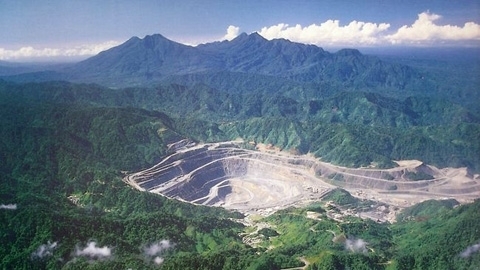 The head of a landowners group controlling the site of the Panguna mine in Papua New Guinea’s Bougainville says it is keen to see a resumption of mining but will always be opposed to the return of Bougainville Copper Ltd.
BCL was the operator of the mine up to the outbreak of the civil war. 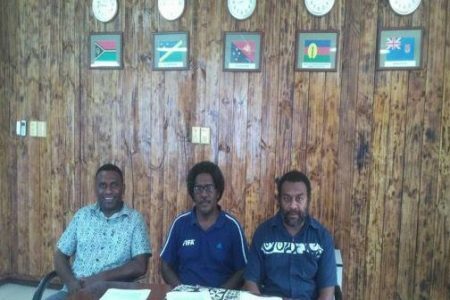 The chairman of the Special Mining Lease Osikaiyang Landowners Association, Philip Miriori, was speaking after a protest by his supporters stopped the autonomous Bougainville Government from signing a memorandum of agreement with other landowners last week. Mr Miriori said there cannot be any progress at Panguna without his association’s backing and they would not accept BCL. “It is a common sense that the people have here in Panguna, that by not accepting BCL to come back they had to stand for their rights,” he said. “So they [Autonomous Bougainville Government] can make any tricks under the sun but with the records that BCL have in the past it is just not going to work. “The protest march was right, you know. The ABG said it has given the protesters two weeks to ‘sort themselves out” after which it claims the MOA will be signed. BCL was the operator of the mine up to the outbreak of the civil war and for nearly 30 years Bougainvilleans have been demanding billions of dollars in reparations for the environmental and social destruction wrought by the mine. The principal owner until last year was multi-national, Rio Tinto, which has since walked away, giving its shares to the PNG and Bougainville governments. The Special Mining Lease Osikaiyang Landowners Association group has links with an Australian mining group RTG and Mr Miriori said a mining arrangement could be put in place immediately, benefiting the Bougainville economy well ahead of the crucial vote on independence in 2019.